Convert any videos to Blackberry video. Convert virtually any video format such as wmv, flv, mpeg-4, mpg, rm, rmvb, vob, asf, dv, m1v and m2v to blackberry supportable formats such as avi, mp4 and 3gp. 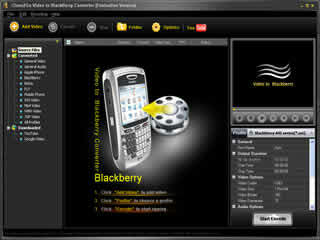 Clone2go video to blackberry converter converts video clips at high speed with high quality of output files. It also brings convenience in batch file conversion which just needs simple steps. You can download flv videos from youtube. Com or google video and convert flv to blackberry supportable formats with this software. Besides, this software has a user-friendly interface and an easy-to-use style, which brings convenience to anyone from beginners to experienced hobbyists to use it. The converter provides a good solution to you in conversion of various input formats and blackberry supportable output formats, and lets you enjoy high conversion speed, perfect output quality, user-friendly interface as well as the easy-to-use style. It will be your good conversion assistant. Clone2Go Video to Blackberry Converter is an audio utility that works under windows xp, windows vista and windows 7. It supports both 32-bit & 64-bit windows editions, therefore it could run faster on 64-bit computers. Estimated download time for Clone2Go Video to Blackberry Converter on a common adsl connection is less than a minute. 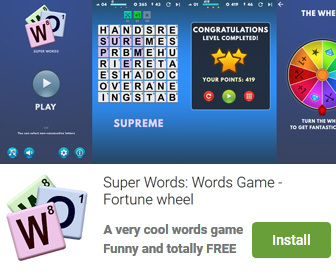 Version 2.5.0 was released two thousand six hundred twenty eight days ago by Clone2Go.com. Click the green download button to download it now.